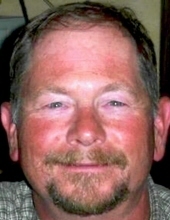 William Daniel Barnett, 67 years, of Montgomery, IL died Wednesday, March 20, 2019 at his residence. He was born December 14, 1951 in Rockford, IL. Survivors include his mother Ruby nee Green Barnett, brother Doug (Cindy) Barnett of Yorkville, nieces Melissa (Anthony) Marshall of Supply, N.C., Miranda and Stephanie Peterson of Yorkville, IL, nephews Corey D. Barnett of North Aurora, IL, Cody Peterson of Yorkville, IL, grand niece Lily Yarbrough of Plano, IL., grand nephews Collin Elliott Yorkville, IL., and Mason Marshall of Supply, N.C., aunts Janice Lovell of Rossville, GA., MaryAnne Green of Green Lake Panasoffkee, FL., Jackie Presley of Sweetwater, TN. along with numerous cousins. He is preceded in death by his father William E. Barnett and sister Constance Diane Barnett. Visitation will be from 1:00 - 4:00 P.M. on Sunday, March 24, 2019 at the DUNN FAMILY FUNERAL HOME with CREMATORY 1801 S. Douglas Rd., Oswego, IL 60543. Funeral service will be Monday, March 25, 2019 at 11:00 A.M. at the funeral home. Burial with military honors to follow at Lincoln Memorial Park in Aurora, IL. In lieu of flowers memorial may be directed to Navy-Marine Corps Relief Society at www.NMCRS.org. For additional information 630/554-3888 or www.dunnfamilyfuneralhome.com. To send flowers or a remembrance gift to the family of William Daniel Barnett, please visit our Tribute Store. "Email Address" would like to share the life celebration of William Daniel Barnett. Click on the "link" to go to share a favorite memory or leave a condolence message for the family.